It was super to see so many entries last week. You are obviously writers of routine or is it routine writers?! Keeping on the simple lines I’m going to start moving into the change of season. It is not quite autumn here in the UK but there is a nip in the air at night and first thing in the morning. As usual, you have 100 words to add to the 4 above. The linky will close at midnight on 24th September. If you are befuddled and bemused by all this, have a read of ‘What is 100WCGU?’ and hopefully some of the mist will clear. If not, leave a comment below or tweet me ( @jfb57) and I’ll help you out. Click here to enter your link and view this Linky Tools list which will take you to another page. I will transfer them to this page as soon as possible! Just because we don’t admit it! 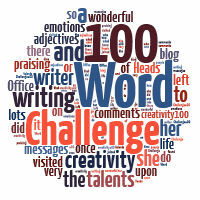 Pingback: 100-Word Challenge: “Rot” | Even More BonusParts!